Forest Green Rovers have re-signed striker Brett Williams on a deal until the end of the season. 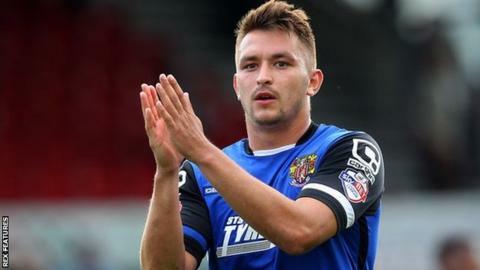 Williams, 28, and Stevenage had both agreed to mutually terminate his contract, allowing him to make a full-time move to The New Lawn. He had a seven-game loan spell during December, where he scored once for the National League side. Williams joined Stevenage in June 2015 having had spells at Rotherham, Northampton, Woking and Aldershot. Read more on Premier League injury table: How is your team doing?